The Supporting Teaching and Learning in Schools Apprenticeship offers a combination of qualifications that will equip you with the skills and knowledge you need to work in the Education sector. Learning support staff, such as Teaching Assistants and Cover Supervisors, plays a vital role in today's classrooms by making sure students get the most out of their lessons. This Apprenticeship will give you a fulfilling opportunity to work with children and young people while also gaining an understanding of their development. Your duties will vary depending on how the teachers you work with plan their lessons and organise day-to-day classroom activities. Your main role will be supporting children and young people to develop their skills across the curriculum; however you could find yourself supervising arts and crafts activities, helping with outings or reading to the class. Support children and young people's health and safety. Students will need a minimum Grade D in GCSE Maths and English Language. You will have an initial assessment when you come in for an interview, and this will show the level of English and maths qualifications, known as functional skills, that you will study alongside your apprenticeship. Once you have completed your Advanced Apprenticeship you will also be able to apply to a range of Universities or take up employment as a practioner in the Early Years setting. 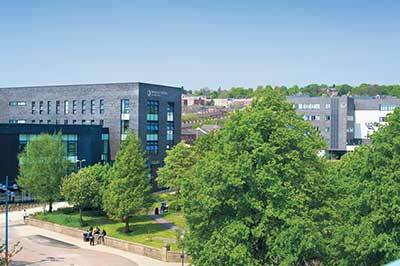 Many students progress to University Centre at Blackburn College where 9 out of 10 graduates are in work or further study just six months after graduation. Teaching assistants support children with their learning activities in the classroom. 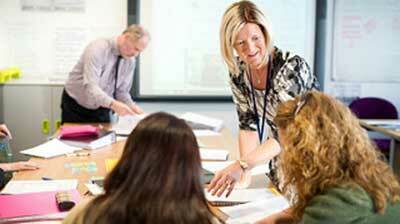 They work closely with teachers to make sure pupils enjoy learning in a safe and caring setting. If you like working with children and want to play a part in their education and wellbeing, this career could be ideal for you. You'll need to the ability to work closely with parents and teachers. You'll also need good literacy and numeracy skills, as well as creative ideas for activities. To do this job, you will usually need some experience of working with children. Qualifications in early years work will also be helpful. You may be able to start as a trainee through an Apprenticeship scheme. If you are keen to help children and want to work in a school, this could be an ideal job for you. Special needs teaching assistants help children with a wide range of learning, physical or behavioural difficulties. Local education authorities (LEAs) and schools decide which qualifications and experience they expect. You are likely to need some experience to find paid work. A good way of getting this experience is by volunteering in your local school. To be a special needs teaching assistant you will need to be patient, and firm when necessary. You must also be willing to help with children’s personal needs. Early years teachers, also known as nursery teachers, work with children aged from birth to five years in day nurseries, children's centres and independent nursery schools. They are specialists in early childhood development. They plan, organise and run a wide range of learning and play activities for young children in a safe and supportive setting. If you love children and are committed to giving them a great start in life, this could be an ideal career for you. You’ll need a clear understanding of how young children learn, lots of creative ideas and the ability to work closely with parents, teachers and other professionals. To become an early years teacher, you will need to complete early years initial teacher training and demonstrate that you’ve met the Teachers’ Standards (early years). For this you will normally need a degree and also GCSEs (A*-C) in English, maths and a science subject, or equivalent qualifications. You will also need to pass Disclosure and Barring Service (DBS) checks. In this job you will help to give young children the best possible start in life. If you like spending time with young people, and want to work in education, a job as a primary school teacher could be perfect for you. You will need to have enthusiasm for the subjects you teach. You’ll also need to be able to relate to pupils and their parents, and have patience and a good sense of humour. One of the main routes into primary school teaching is to do Initial Teacher Education or Training (ITET) and get qualified teacher status. To do this you must have GCSEs in English, maths and a science subject. You will also need clearance by the Disclosure and Barring Service. Salaries for full-time teaching assistants are between £13,000 and £18,000 a year. Salaries for full-time HLTAs can start from £16,000 to £21,000 a year. Senior HLTAs can earn from £21,000 to £25,000. This will vary depending on the Local Education Authority (LEA) and the responsibilities of individual jobs. There is no national pay scale and wage rates are set by each LEA. Teaching assistants who work part-time, or are paid only for term-time, earn a proportion of full-time rates. This is known as pro rata payment. Apprentices should work for at least 30 hours per week and an Apprenticeship takes between one and five years* to complete, depending upon the level of Apprenticeship and the industry sector. Most of the training is delivered in the workplace, so you will learn the skills you need to do the job well. The rest of the training is given by Blackburn College, either at the workplace, in College or via e-learning. The training is specifically tailored to ensure you develop the skills the employer wants, giving apprentices a real advantage in the workplace. This means that apprentices not only have better long term salary prospects, but they also have excellent progression opportunities, whether looking to study further or climb the ranks within the workplace.